Welcome to Gunn Memorial Library! 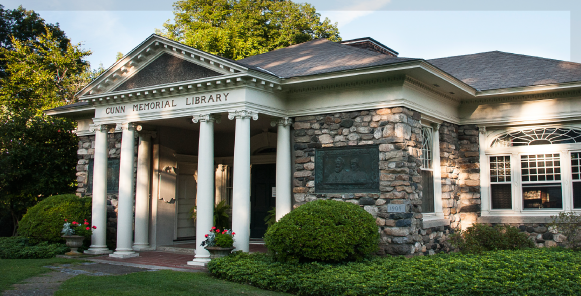 The Gunn Memorial Library, Inc. is a non-profit corporation providing free public library services to Washington, Connecticut and the surrounding communities. It is dedicated to the promotion of literacy, education, and preservation of the Town’s history and culture via the Gunn Historical Museum. Gunn Memorial Library is run by paid staff with help from loyal volunteers. Its operations, fundraising, and budget are overseen by a volunteer Board of Trustees. Operating income comes from individual donations, fundraising events, endowment interest income, and a contribution from the Town of Washington. © 2019 Gunn Memorial Library and Museum.